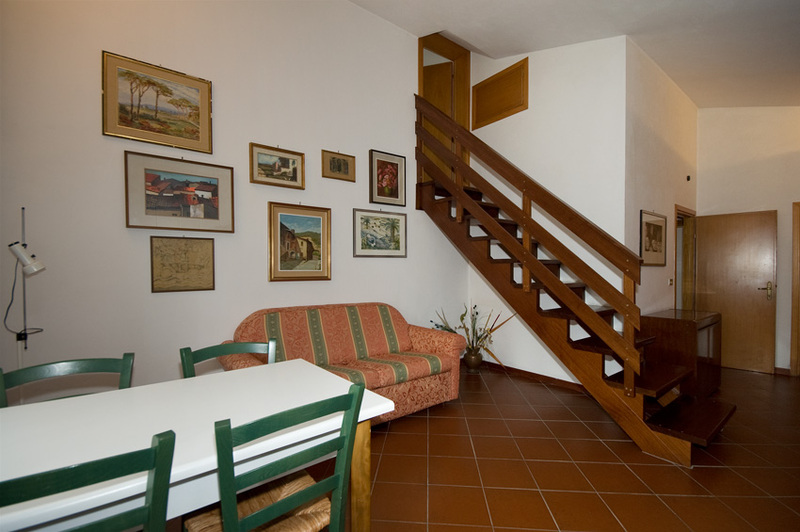 A two roomed apartment with a double bedroom, bathroom/shower and living room with a kitchenette. This ground floor apartment has a small private terrace with tables and chairs shaded by wisteria where you can relax and enjoy its sweet aroma. A one roomed recently renovated apartment located in the area which was once the stables with a large arched window looking out onto the garden with a double bed, en suite bathroom, kitchenette and table and chairs in the garden. 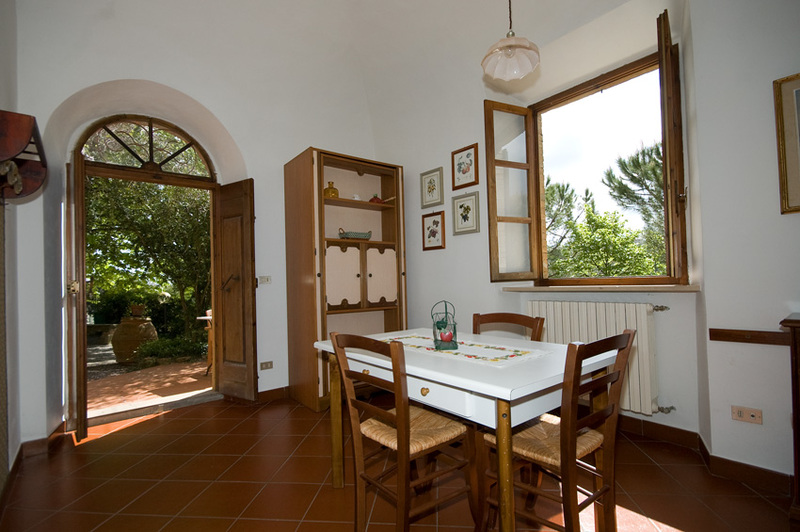 A two roomed well-appointed apartment on the first floor with a double room, bathroom/ shower, a living room with a spacious kitchen and windows looking out over the valley offering a beautiful view of Volterra on the hill. There is a sofa bed in the living room to accommodate two children. 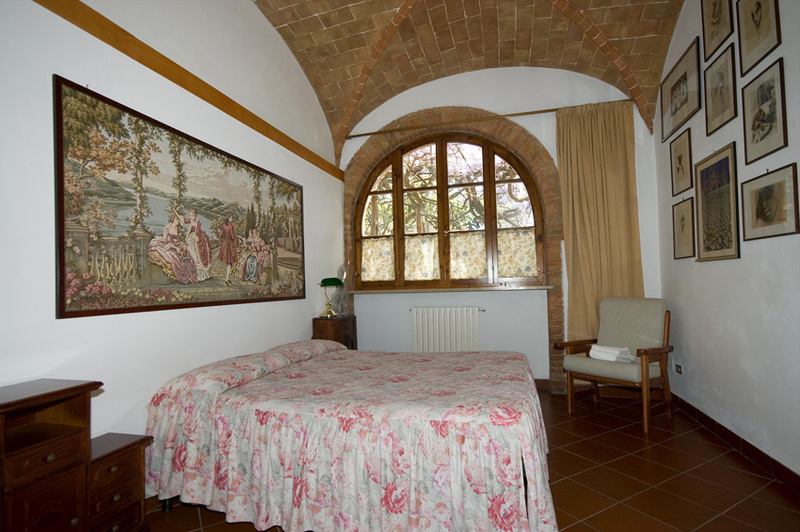 A two roomed apartment on the first floor, a double room with a charming Tuscan vaulted ceiling, living room and kitchenette, bathroom/ shower. 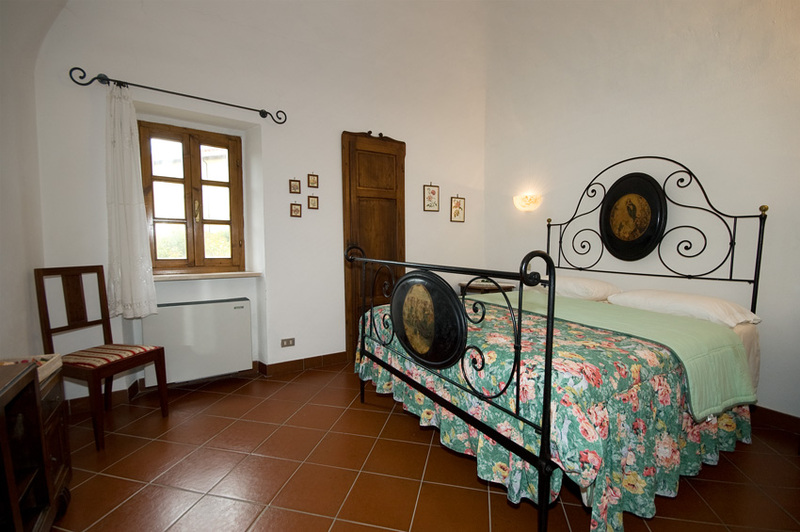 A two roomed apartment with a spacious living room, kitchenette and two windows overlooking the olive grove and a bedroom upstairs in the tower with a romantic wrought iron bed. There is a sofa bed in the living room and the apartment is air conditioned. A small comfortable air conditioned two roomed apartment with a double room, bathroom/ shower and kitchen. A three roomed apartment with two double bedrooms each with an en suite bathroom and a kitchen. 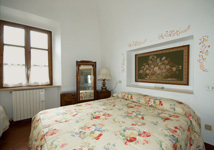 The apartment is on the ground floor with a private garden area with tables and chairs to relax after a day excursion.